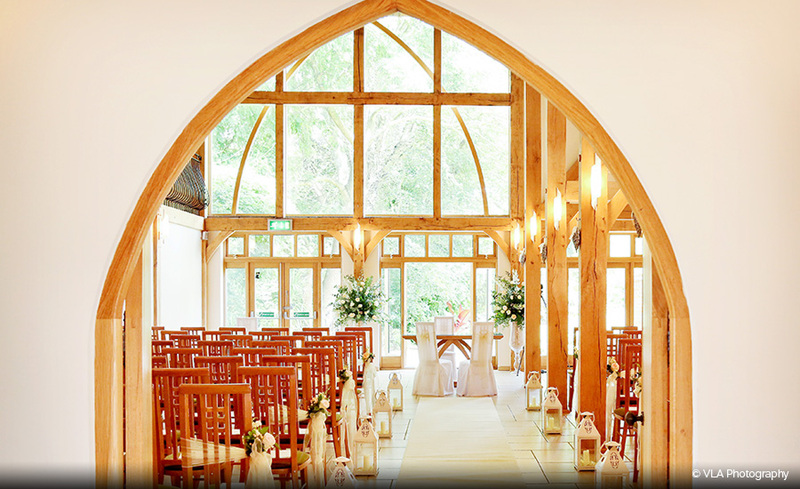 This beautiful traditional timber-built country barn is perfect for your romantic wedding-day celebration. 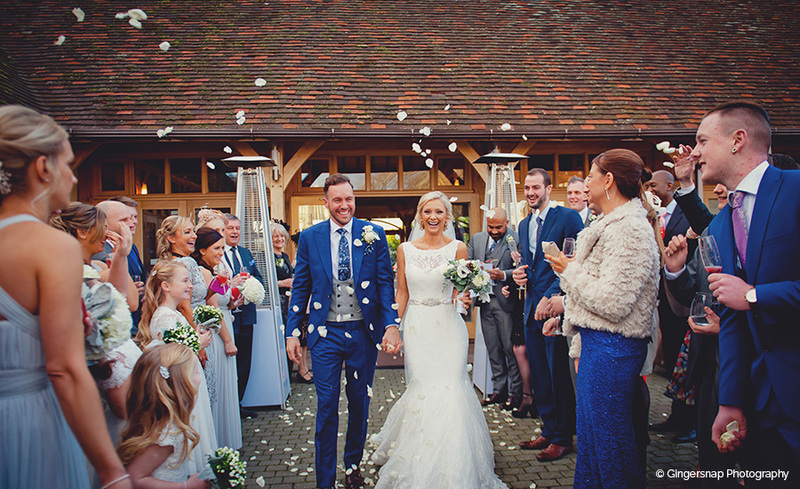 Situated in Yateley by the River Blackwater, on the site of an old farm and watermill, the barn is licensed for civil ceremonies and offers a range of different spaces for your reception. 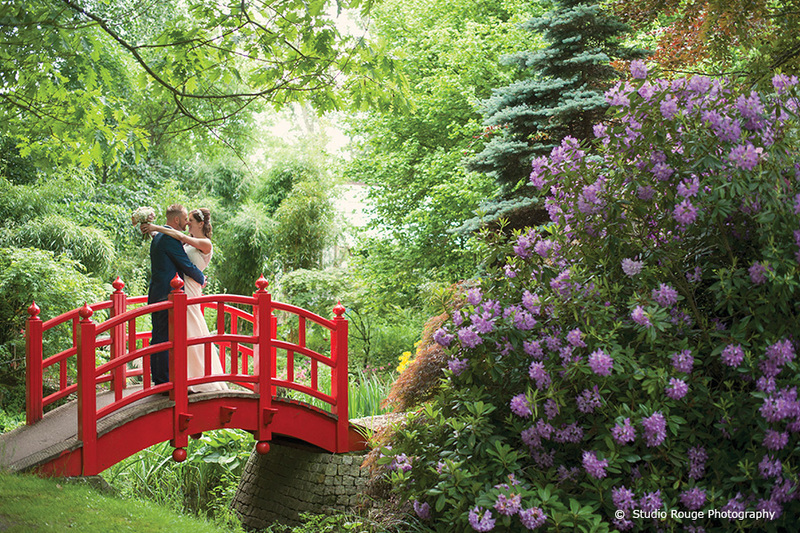 In its stunning garden setting, the venue is tranquil, serene and exclusively yours for the wedding day. 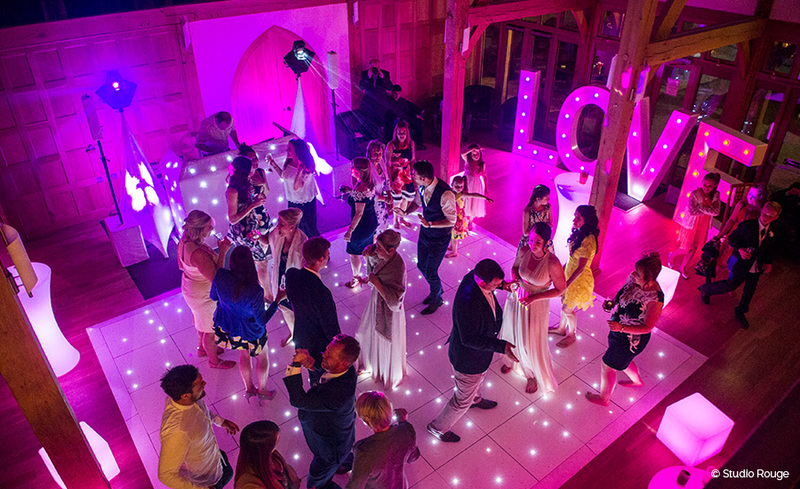 The events team have been hosting weddings at Rivervale Barn for years, so they know exactly how to pull off a pretty fantastic celebration! 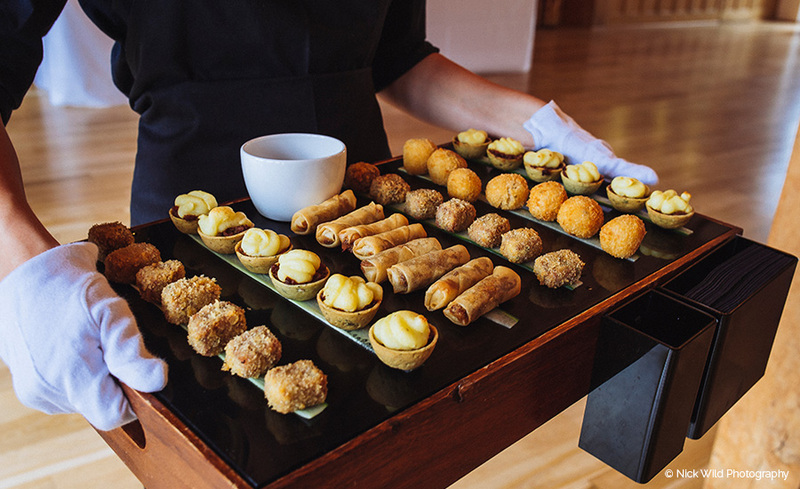 Catering at the barn is flexible and you are invited to describe your dining ideas, which the team will try their hardest to turn into a reality. 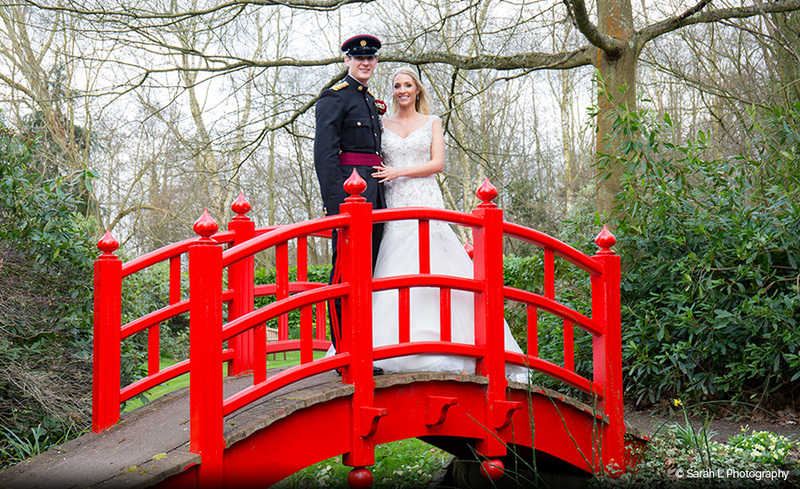 Use of the charming wedding-night cottage suite for the bride and groom is included in the hire of the venue. Yateley Water Mill once stood on the site of this former farm, and the original property was listed in the Domesday Book of 1087. The only surviving element of the estate associated with Yateley Mill is the Cornstore Cottage, which is upwards of 450 years old. 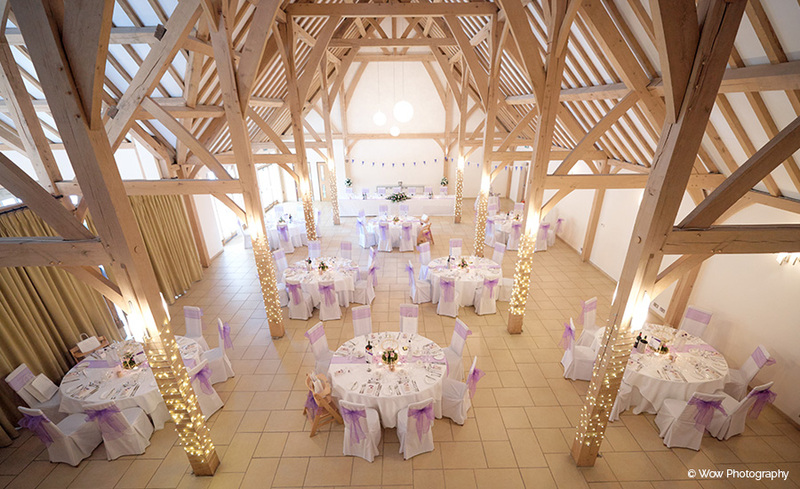 Rivervale Barn opened as a wedding venue in 2009. 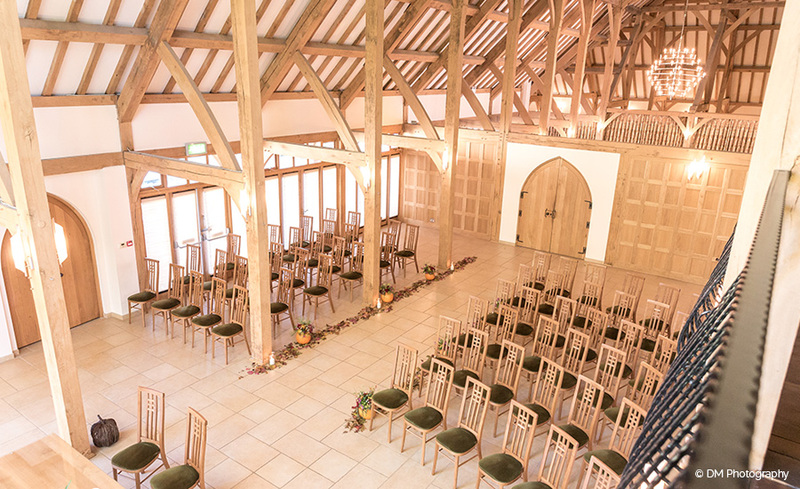 A contemporary structure, built using old methods to a time-honoured rustic design and fashioned in 'green' oak, the framework of the barn was jointed and pegged in the traditional manner. The aisles and vaulted roof give an impression of huge space, resulting in its church-like feel. It took no less than 400 mature trees to construct. 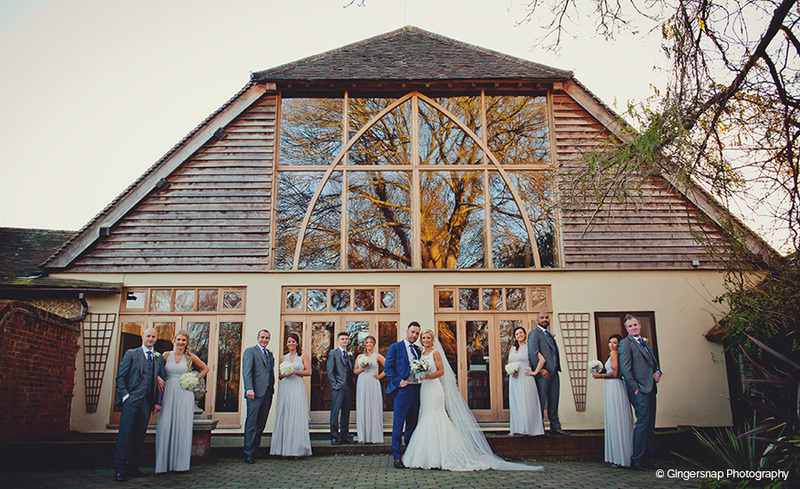 The barn features an exposed framework of oak beams and cathedral-style windows which look out over the gorgeous gardens. There is a minstrels' gallery above one end of the barn, where musicians, a choir or the photo/videographers can be positioned. 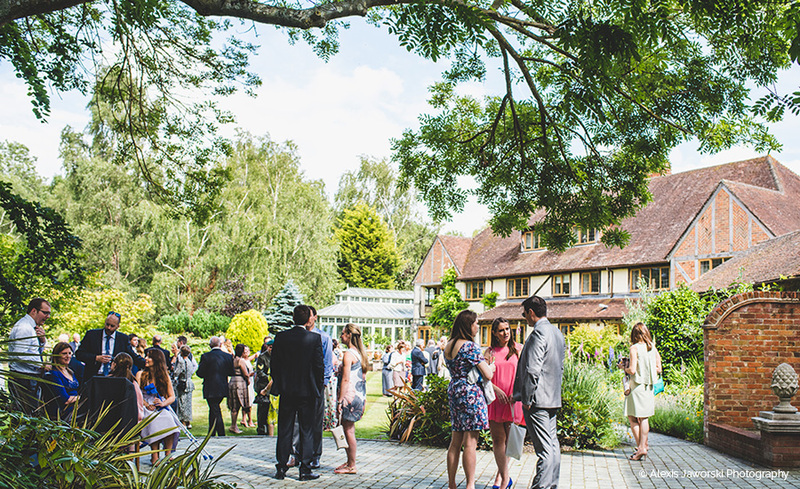 After the ceremony, drinks and canapés can be enjoyed in the adjoining room, or in the Mediterranean Courtyard in fine weather. 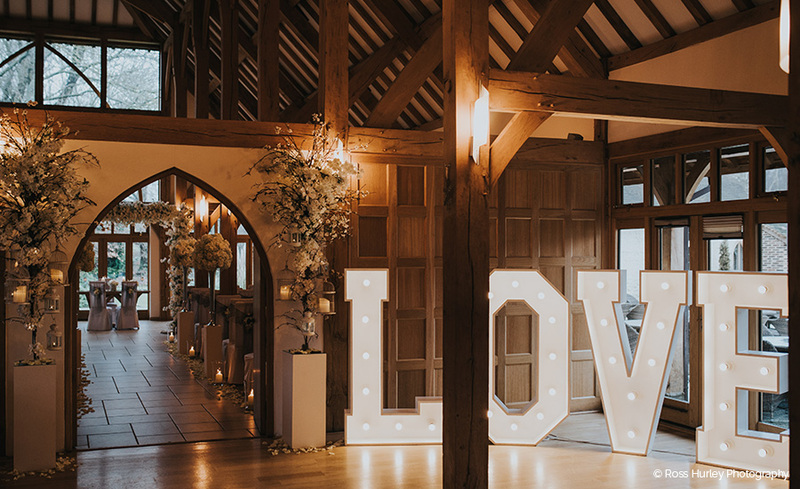 The dining room at Rivervale Barn features oak beams with fairylights winding around them and contemporary spherical lighting globes above the top table. 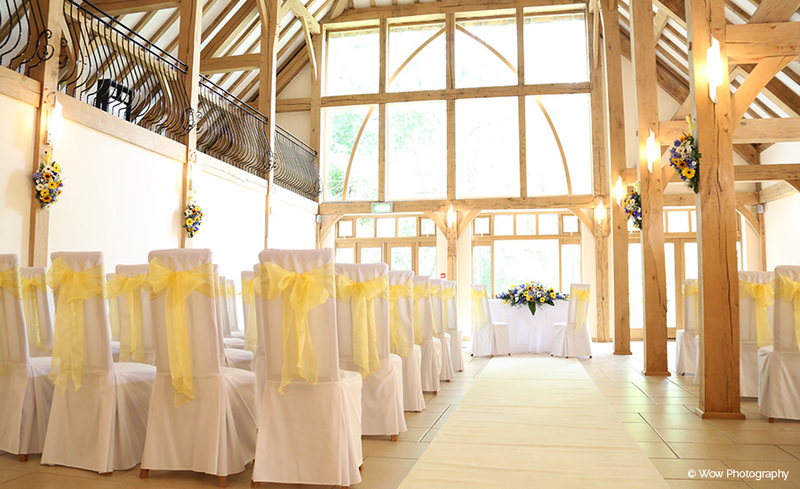 The natural wood and neutral colour scheme ensures that any wedding theme will easily be matched. 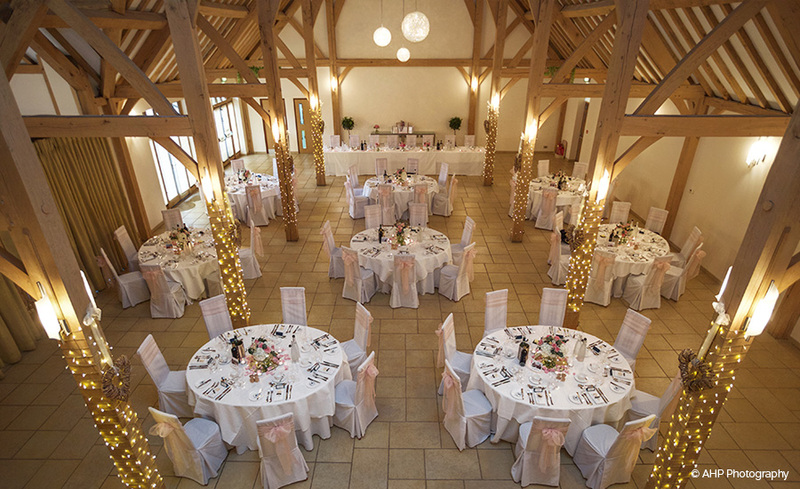 Rivervale Barn is ideal for receptions, with lots of different spaces and an adjoining courtyard. Individual areas are all interlinked and boast a licensed bar that accepts cash and cards. There is also plenty of room for entertainment, like a DJ, band or casino. 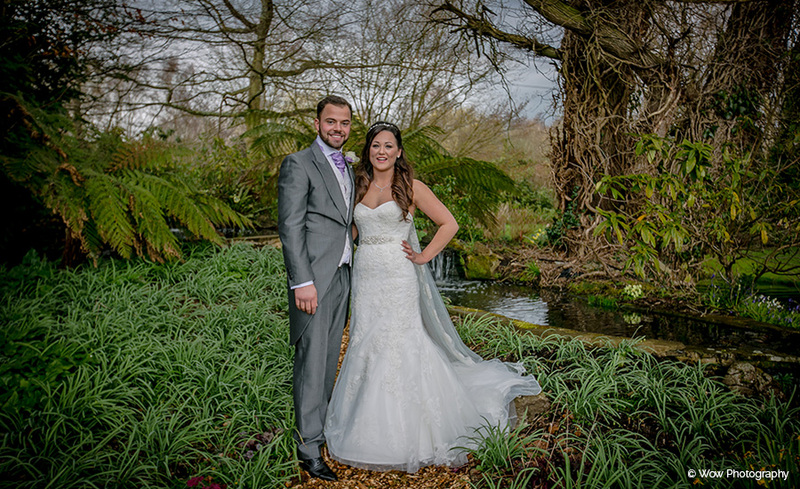 The picturesque gardens and grounds, with the bank of the River Blackwater a central feature, are ideal for wedding-day photos. 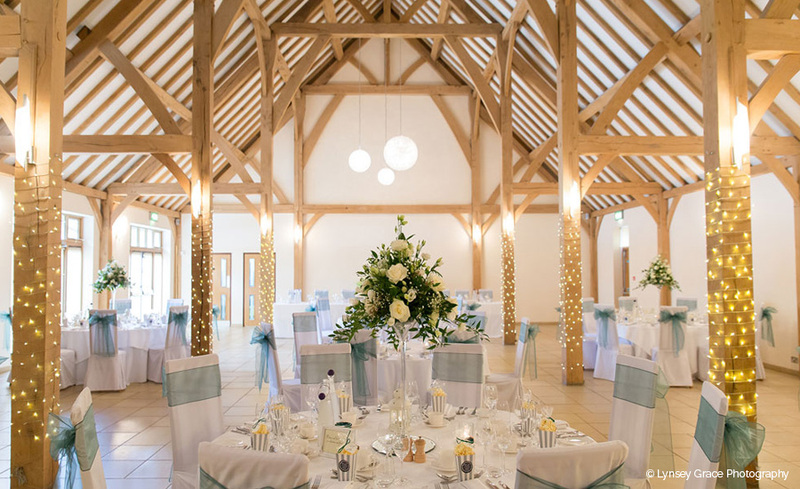 Whether you'd prefer a traditional three or four-course meal, an afternoon tea or dining al fresco, there will be something to meet your requirements at Rivervale Barn. With the vast amount of exterior space, choosing to have an outdoor barbecue or hog-roast might just be ideal. 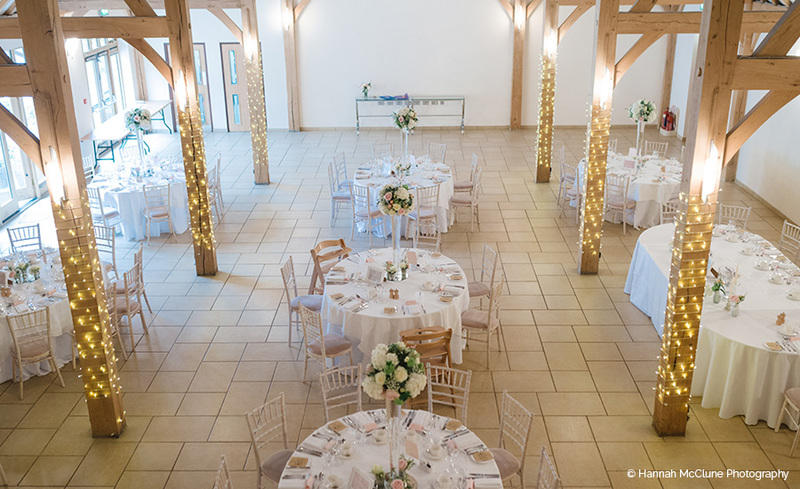 However, if the weather isn't so kind, or if you'd prefer something a bit more traditional, the lovely space inside the barn is perfect for a formal-style wedding breakfast. 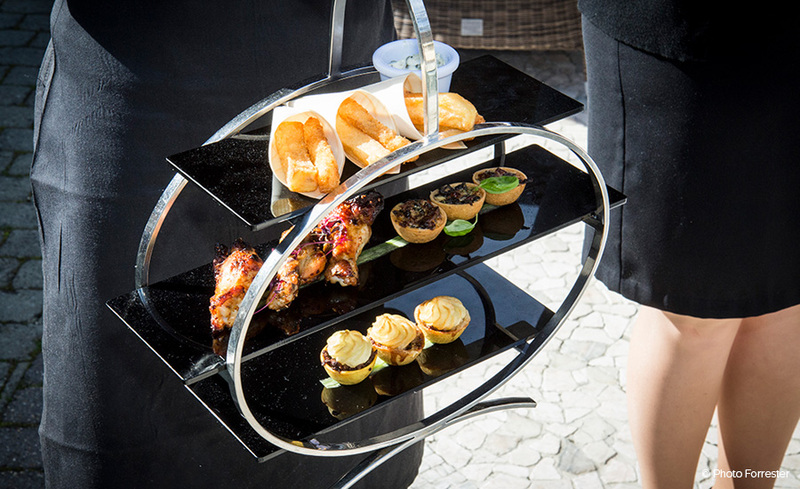 Get in touch with the expert catering team to discuss what is best for you. 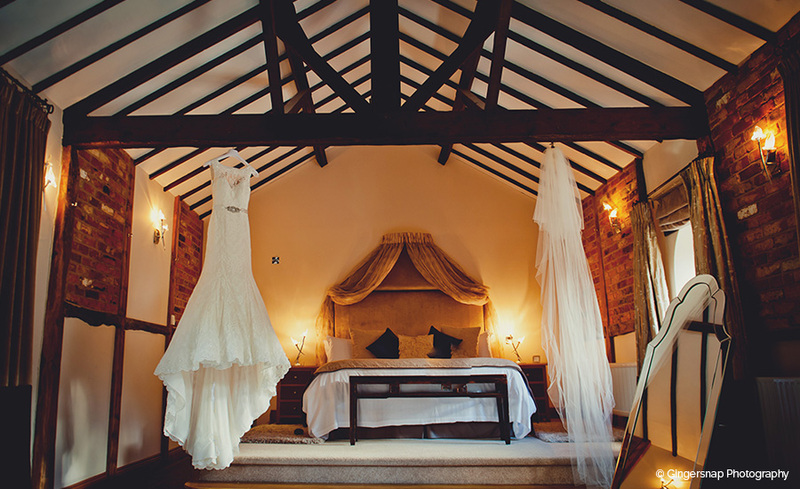 The nearby 'Cornstore Cottage' is perfect for a bride and groom to spend their first night as husband and wife together. 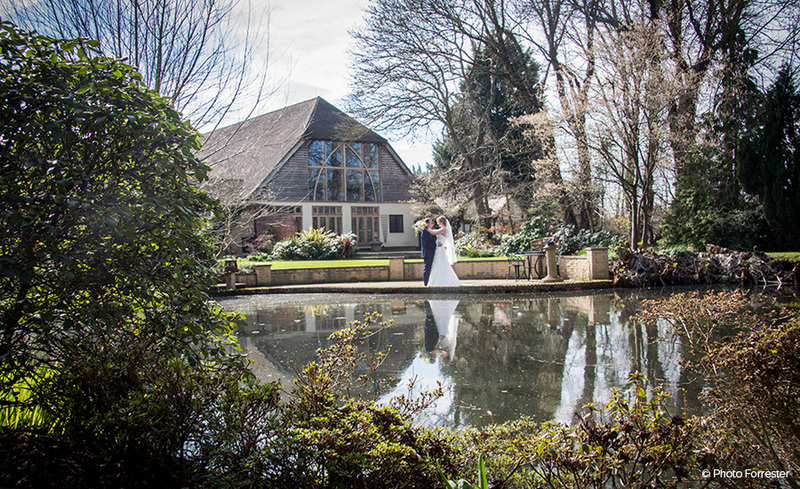 Originally part of Yateley Water Mill estate, the suite is over 450 years old and makes for a fantastically romantic setting after the wedding! With an open-plan bedroom, the cottage is homely and welcoming. 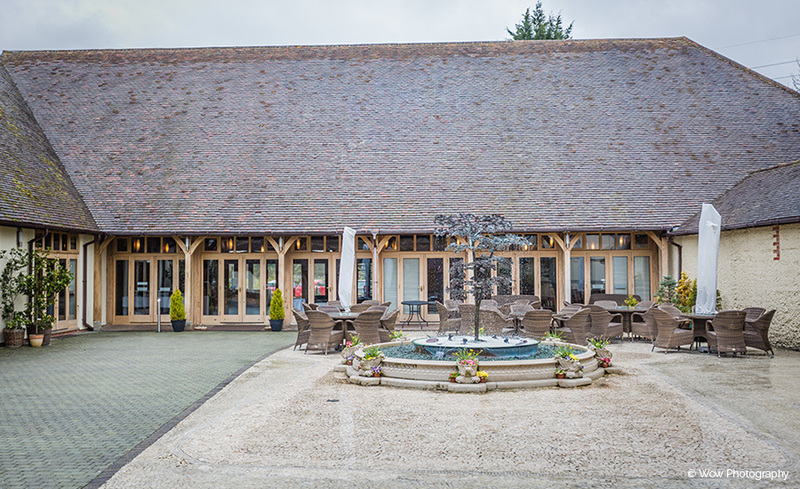 The accommodation combines traditional rustic features with mod-cons, making it perfect for a luxury night's stay. Included in the price is a tantalising Continental Breakfast the next morning. £500 off all remaining dates in 2017. 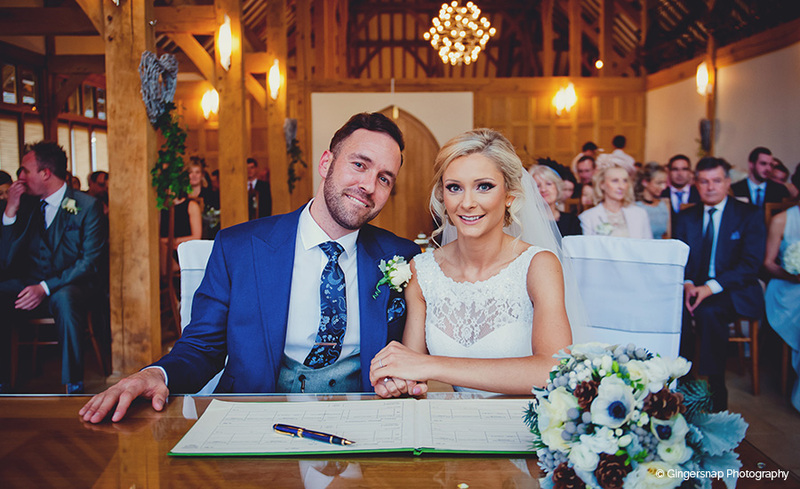 To get in touch with the wedding hospitality team at Rivervale Barn, please use their contact details below this listing. 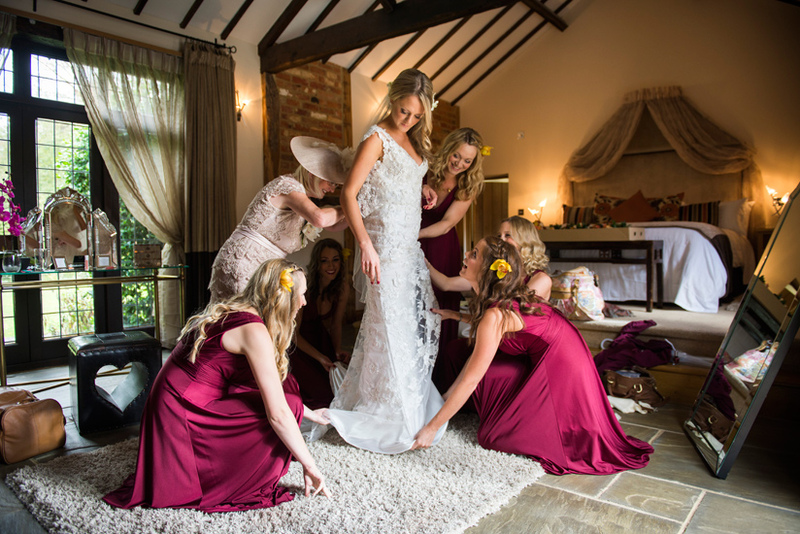 Hayley and her team were absolutely fantastic in every detail of our wedding, from the finer details, decorating, helpfulness and general approach to the guests was greatly appreciated and applauded from almost everyone at the wedding. The staff were fantastic, they listened to everything we wanted and made it happen. Outstanding food! 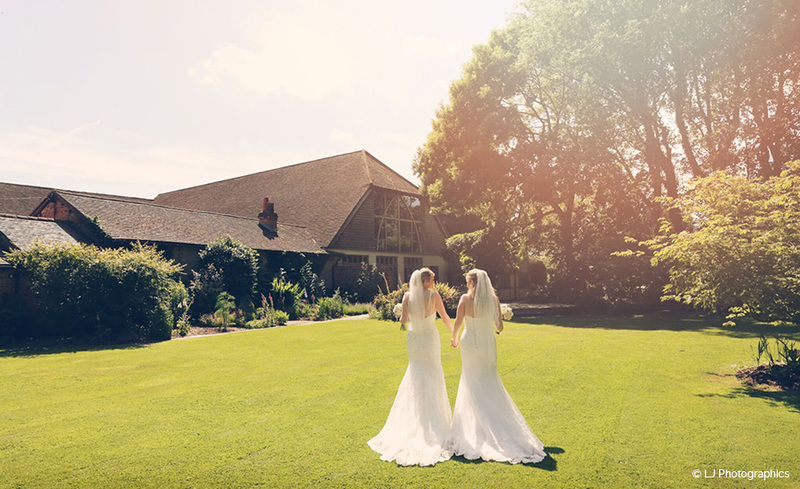 A beautiful day in a stunning venue. We had the perfect day and loved every second of it. 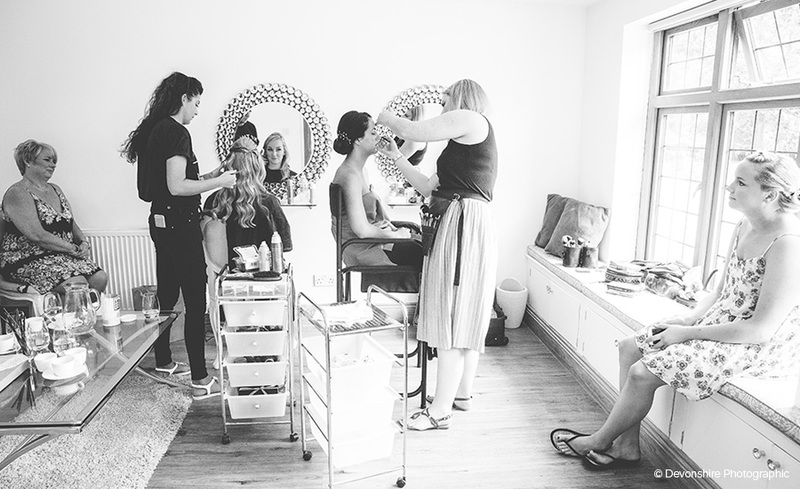 It was all the little touches that made the day extra special and the level of the suppliers recommended was exceptional. 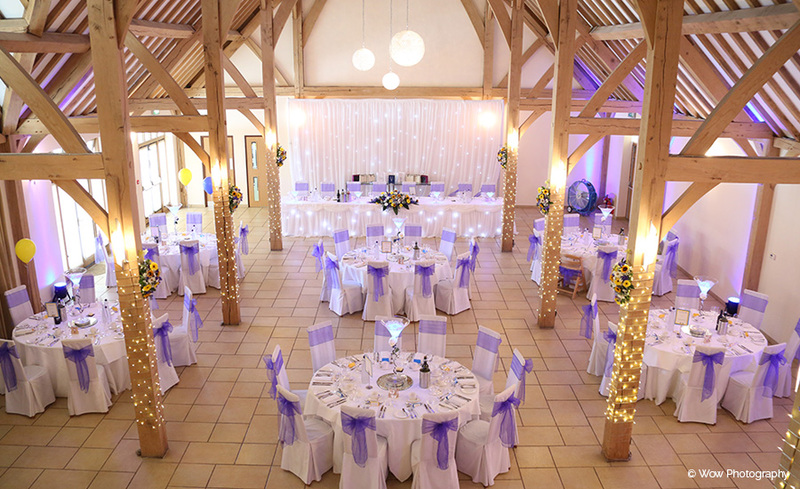 Let others know what you think of Rivervale Barn by giving a star rating and a small review.